Cheryl Tevis is a founding member of Iowa Women in Agriculture. She grew up on her family’s Hornick, Iowa, grain and livestock farm in the Loess Hills. Today she farms with her husband Stan Lingren in Boone County. They have two daughters. She received an M.A. in journalism in 1975 from University of Missouri at Columbia. 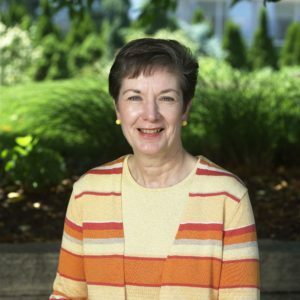 She began her career as an associate editor at Farm Wife News magazine in Milwaukee, Wisconsin, in 1975. As Successful Farming farm management editor in 1979, she was the first woman in the magazine’s history to write about business. Her monthly column elevated the role of women in the farm business and in agriculture. In 1983, her eight-page story, STRESS was awarded the Oscar in Agriculture. She wrote a 12-page story, We Kill Too Many Farm Kids, which was selected as a finalist in the 1990 National Magazine Awards. Cheryl organized and led three Farm Family Enrichment Conferences and the Generating Success Conference, helping farmers manage their businesses and estate plan transitions. She served on the board of Farm Safety For Just Kids. She retired in 2015, after 36 years at Successful Farming magazine. Cheryl is a member of the Iowa Center for Agricultural Safety and Health (I-CASH) Advisory Board, the Central States Center for Ag Safety and Health (CS-CASH) External Advisory Committee, and the National AgrAbility Project Advisory Board. Cheryl has served on the Boone County Extension Council for 27 years, and has earned her stripes over the past 14 years as a 4-H club leader.